Mary Magdalene is the Patron Saint of repentant sinners and came from the town of Magdala on the western coast of the Sea of Galilee. Jesus cured her of her mental illness and accepted her on equal terms with everyone else. He entrusted her to be the first to tell the news of his resurrection, even though, in those days, the word of a woman was not trusted. Things have moved on a bit since then! 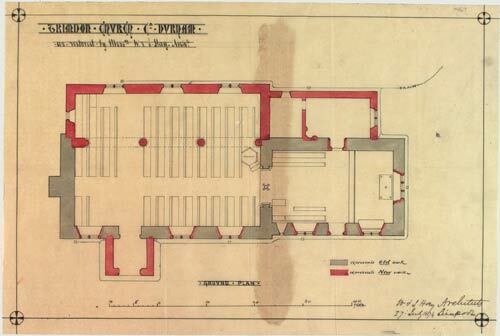 In 1884 the North Aisle, the Vestry and a new stone font were added. 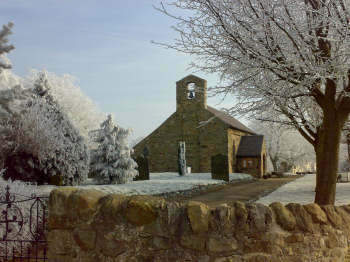 20th century improvements included gravestones from the churchyard being removed and repositioned next to the path leading to the east end of the church; choir pews removed to allow flexibility of use of the Chancel area; a new organ installed and the floor carpeted; a sound system installed; diseased trees replaced with now maturing trees. “Doves, Pigeons and Masonry Bees”. St Mary Magdalene’s is now part of the larger Parish of Upper Skerne. This also includes the former parishes of Trimdon Grange, St Alban’s; Trimdon Colliery (St Paul’s is now closed); Fishburn, St Catherine’s; Bishop Middleham, St Michael’s; and Sedgefield, St Edmund’s. Each church remains autonomous within the Parish, which is served by a Team Ministry, with Revd Michael Gobbett as Rector of the parish. Others in the team include Revd Philip Tait, Team Vicar, Temporary Curate, Revd Alison Richardson, Lay Readers and Lay Leaders. Other ordained priests serve in the Parish from time to time. We have a combined Parish Magazine and information about services and events in the Parish can be found either in the Parish Magazine or on Notice Boards outside the churches.